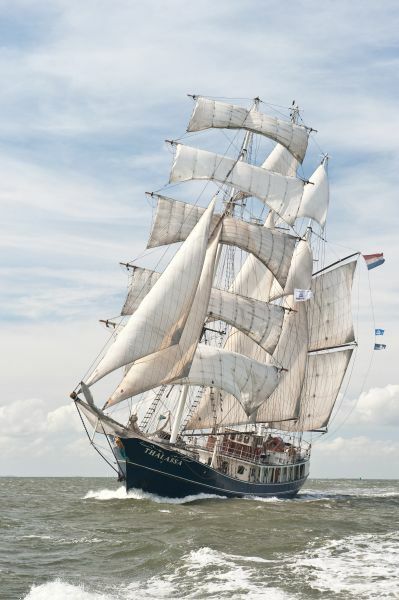 On Tuesday the 23rd of July the Tall ship Thalassa will arrive on Clare Island for one night only. All vessels under sail or steam are asked to help welcome her into Clew Bay and Clare Island. A great old session of music, song and dance will take place at Sailor’s Bar that evening in celebration. The last time a tall ship of her size was moored overnight on Clare Island was in the time of Grainuaile in the 15th / 16th century.